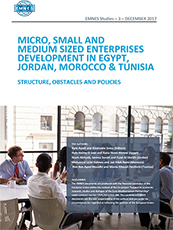 The study provides a snap shot of the current status quo in Egypt, Jordan, Morocco and Tunisia regarding the development of their private sectors, with a focus on micro, small and medium enterprises. 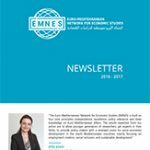 It will be used as a baseline for the definition of a robust research agenda that ultimately aims at providing sound recommendations for policy makers to improve developmental outcomes and, especially, the contribution of micro, small and medium enterprises to employment creation. 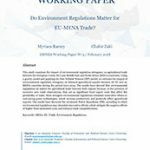 Do Environment Regulations Matter for EU-MENA Trade?